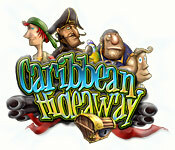 Caribbean Hideaway is rated 4.7 out of 5 by 58. Rated 5 out of 5 by missmerrily from An unexpected treasure What a great game this has turned out to be. 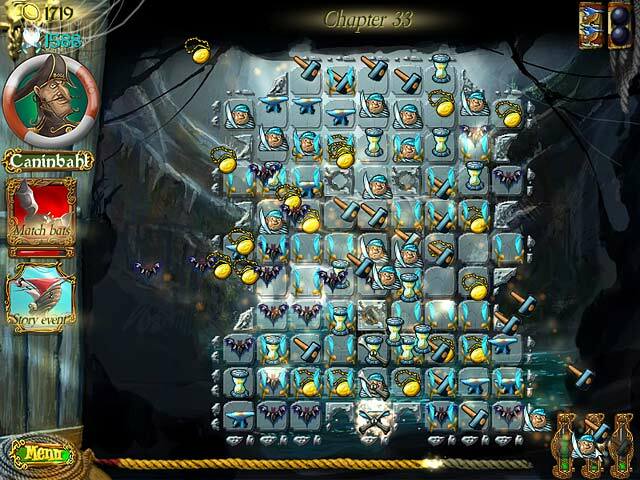 It's deceptively challenging, has great background music and, beware, it's highly addictive. A great value, great fun, all around lovely game. I highly recommend it. Rated 5 out of 5 by nycj from A VERY challenging game! The developers just don't make games like this anymore. At least that's the way it seems. I'm a Match 3 fanatic and have been so disappointed with the offerings over the last year or so. That's why I'm on my THIRD playing of this game. And I've been challenged every time! 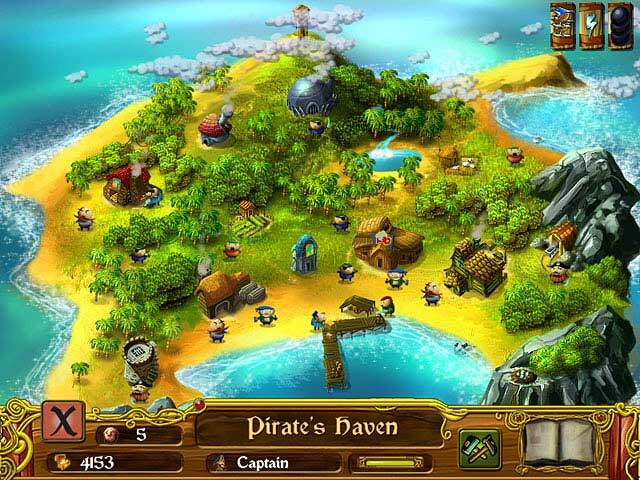 If you are one that gives up easily, you probably won't enjoy Caribbean Hideaway because as you progress, the levels definitely get harder and harder and "strategy" comes to the forefront. For me, this is what I look for! It's been a long while since this game was first released, but if you're looking for a challenge, I urge you to give it a try. Rated 5 out of 5 by Lindaluvshog from GREAT! Make a sequel! This is the most fun Match 3 game around. There are levels that are hard to beat, but keep at it. So much fun. I wish the developers would make more like this! 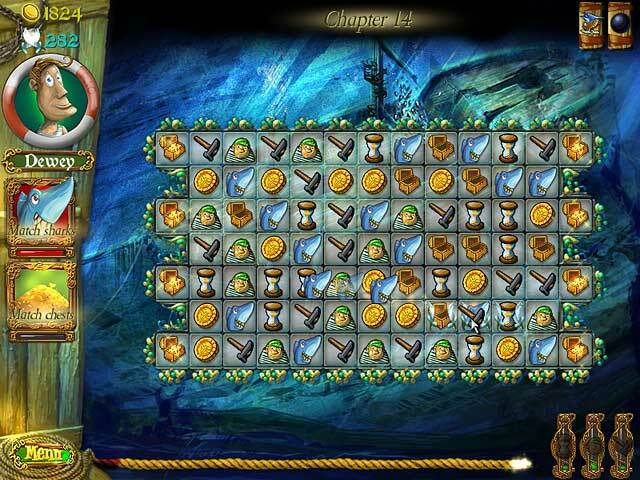 Rated 5 out of 5 by Dayanablack from Great pirate game The theme is lovely! Pirates! And the game indeed feels like a pirate adventure! You can play several characters, you can build your pirate hideaway..... very well done! And the match 3 has an interesting twist! Rated 5 out of 5 by jenna2345 from So different! I really enjoy this game! Instead of just clicking on shapes to switch them, one needs to make a match in a place where they can pick up a different shape that they can use somewhere else. It takes a bit longer to master it... I don't think I've done that yet and I've played it for hours. I hope they make another game similar to this! I don't bother reading the story line so I have no comments on that. Rated 5 out of 5 by gkwtx from Best Match 3 ever! Love it! Play it all the time. Wish I could find more like it! Rated 5 out of 5 by gpj53 from Love this, play it again and again I have played this a lot over the past few years and enjoy it each time. It is a challenge at times trying to make the three of a kind and the thing at the end of the cursor is the wrong type but that just adds to the fun. It is timed which is not for all but there are no lives to be lost and money and experience gained, in fact the three top of screen game power ups reset themselves so are still intact ready for the next attempt. This all helps as I try to make the 999,999 total by end of level 100. I've also worked out what I have to do to end with no extra people on the island which has also added to my fun.